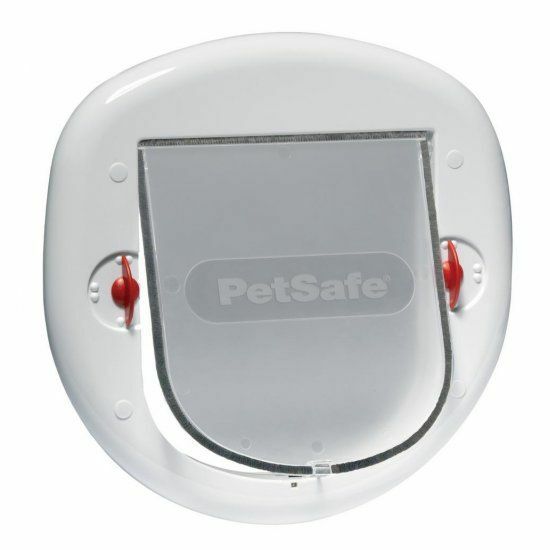 A magnetic 4-position white cat flap with lock, suitable for cats up to 10 kilos, including a tunnel element. 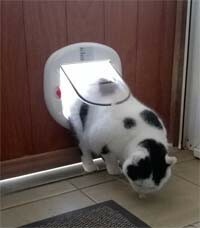 This white cat flap is suitable for cats up to 10 kg. Flap: 292 x 292 mm. Max. 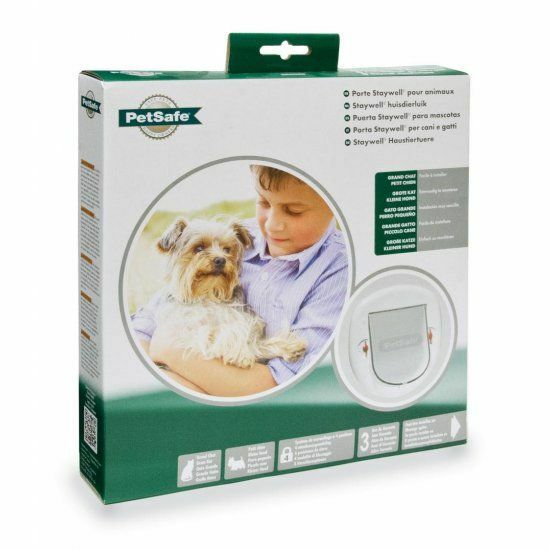 Weight pet: 10 kg.